Peak oil theory postulates that the world has reached its peak in terms of oil production and that there will be a steady decline from now on (our shortened definition). Poppycock. There is oil everywhere. It is just a matter of getting to it. There is plenty of oil under our oceans, although AAEA is not ready to surrender the beauty of our east and west coasts to get to it. 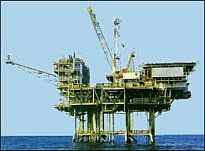 The holy grail for the oil companies is the eastern Gulf of Mexico. The western Gulf has already proven that there is plenty of oil in the Gulf. That is why there are about 4,000 wells from Texas to Alabama. Now $4 per gallon gasoline is putting pressure on Florida to agree to drilling off its western coast. That and the Chinese are about to drill in our backyard in the same area in a deal with Cuba. The Democrats (evidently Big Oil is Republican) are trying to hold off on opening up the Outer Continental Shelf, eastern Gulf, and east and west coasts by saying there are 68 million acres of federal lands already under lease to the oil companies that they are not exploring. Evidently these lands do not hold the easy pluckings of oil the companies like though because they still want the bans lifted so they can drill everywhere. Well let us hope the politicians will make up their minds soon. For if there is plenty of oil in the world, then the price should not have to be higher than the public can stand. After all, America is great because of plentiful supplies of oil and gas at reasonable prices. And those are items we support.